The NFL season is here and that means it’s business time for us DFS players. For those not comfortable betting but want to see how everything works, free lines are available so you can get used to everything. The ultimate goal for me is to provide some lineups or key players to play every week so those that want to bet money on DFS can do so. Hopefully, my lineups will work for me, and you as well, and we can both win money during this NFL season. The first week always makes me nervous because I have no numbers to go off of. It’s a new season for everyone so for that reason I advise to play light. With all that being started let’s break down my GPP plays. For you newbies, a GPP is a Guaranteed Prize Pool entry, meaning there is a different payout structure. Only about 20% of the entries win money and that money is divided scaled meaning first place will win the most money then second place and so on. Prices are for FanDuel players only. Prices for other websites such as DraftKings are different. These players value were too good to pass up on so I have them in each one of my lineups. Keelan Cole ($4500): My favorite pick but expect him to be high owned. With Marqise Lee out for the season, Cole has been moved up to the top receiver on the depth chart for the Jaguars. Paying $4500 at the receiver position will allow us to pay up at other spots. Antonio Brown ($9000): The Steelers are prepared to roll with James Conner while Le’Veon Bell’s contract holdout is still at a standstill. According to ESPN, Bell is “not expected to play Sunday against the Browns barring an unforeseen development.” Now is the time to take the best wide receiver in the game. I love to stack a quarterback with their wide receiver. This makes passing touchdowns extremely valuable and can help rack up points quick. I’m only playing three GPP’s this week so here’s the three combinations I am playing. Baltimore Ravens ($4800): The defense is going against Nathan Peterman. Enough said there. Detroit Lions ($4400): Although Sam Darnold is my favorite rookie quarterback this season, let’s see how his first away NFL regular season goes. You know with the Lions hiring Matt Patricia there will be an extra focus on defense this season. Christian McCaffrey ($7500): Jonathon Stewart is gone so McCaffrey will be the teams primary back. The ability to be a threat out of the backfield and run the ball just makes him all more valuable. It’s all about volume and McCaffrey is going to get it. Ezekiel Elliott ($8300): For some reason, Elliott is the 5th expensive running back while he continues to deliver fantasy numbers since he’s entered the league. $8300 is a steal for a running back that can put up over 100 yard games on a consistent basis. Royce Freeman ($6000): Freeman has been deemed the starter for the Broncos in week one and at only $6000 I’ll take it. Freeman had three rushing touchdowns during the preseason and Broncos fans are excited for the rookie running back. As for a tight end, I am going with Benjamin Watson ($4900). It’s a risky pick but he impressed the last time he was with the Saints (2015). 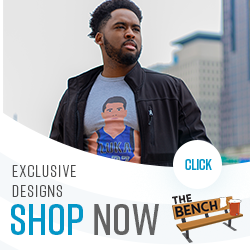 Need some NFL gear before the season begins? Check out our store for tees, hoodies, and more!